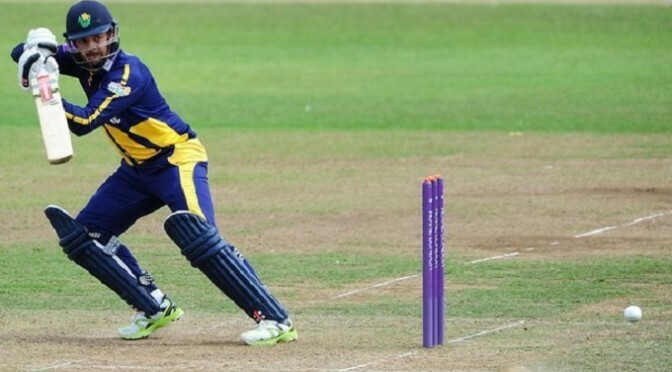 Jacques Rudolph’s century in the One-Day Cup helped Glamorgan claim a 95-run victory over Somerset at Taunton. The South African made 111 as Glamorgan posted 289-6 from a reduced 47 overs, with Rudolph sharing a 118-run third-wicket partnership with Murray Goodwin. Tim Groenewald (1-43) had Rudolph caught on the mid-wicket boundary while Lewis Gregory took an impressive 4-48. Chasing 303 (D/L), Peter Trego made 45 but Michael Hogan’s 3-19 saw Somerset bowled out for just 207 in 40 overs. Having won the toss and chosen to field, Somerset had Glamorgan in trouble early on as Gregory had Jim Allenby caught at first slip for a duck off the final ball of his first over, reducing the away side to 2-1. However, Rudolph steadied the ship and alongside his century stand with Goodwin (62), the 33-year-old shared an 84-run fourth-wicket partnership with Chris Cooke (60). A short rain delay momentarily had Rudolph stuck on 99 not out but following the resumption of play, which saw the match reduced to 47 overs per side, the left-handed batsman completed his second century of the tournament off 121 balls. In response, Marcus Trescothick (25) and Nick Compton (9) shared a 40-run first-wicket partnership, the home side’s largest of the match, as Somerset regularly lost wickets. Graham Wagg, James Harris and Dean Cosker all claimed two scalps each as Glamorgan clinched their third victory of the tournament to move up to fifth place in Group B, with six points with two matches left to play. Somerset remain in third place on seven points, level with second-placed Durham and fourth-placed Nottinghamshire, with one match remaining. Kent eased to a six-wicket victory over Glamorgan to go top of the One-Day Cup Group B table. Doug Bollinger (5-35) helped restrict Glamorgan to 209 all out, with only Chris Cooke (73) making a half-century. The hosts, who played out a thrilling tie at Surrey on Tuesday, were given a solid start by Ben Harmison (43). 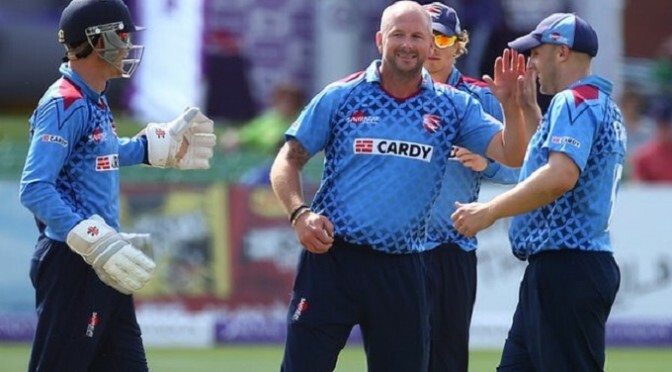 Fabian Cowdrey (42) and Darren Stevens (62 no) then put on 70 as Kent won with six overs to spare to maintain their unbeaten start to the competition. Earlier, Bollinger equalled his career-best domestic one-day figures and took the crucial wickets of Cooke and Murray Goodwin (40).